The Glute Bridge is a huge part of our daily program. We are always re-educating our guys on the glute bridge and it’s successive progressions. In our minds, the more we do exercises that isolate and strengthen the glutes, the less chance we have of getting injured. This is a glute isolation exercises that we do as part of warm up. We have always started with 8 reps of 3 second hold. Our focus is now on sustaining more of an isometric contraction for longer periods of time. Now, we will start with 3 reps of 10 second holds. 1- There is a picture of my lovely wife in Rachel Cosgrove’s new book, The Female Body Breakthrough: The Revolutionary Strength-Training Plan for Losing Fat and Getting the Body You Want. Awesome for Hillary to get her picture in a book and also to get a little publicity for what she accomplished. It was simply amazing to watch someone so close to me be so dedicated, disciplined, and also get outstanding results. Also, congrats to Rachel on the release of this book. Rachel doesn an unbelievable job and was the first trainer I thought of when I referred her to Hillary. 2- Great study in the November Journal of Strength and Conditioning Research- Training Effects of Endurance Capacity In Maximal Intermittent Exercise: Comparison Between Continuous and Interval Training- page 2405. I really like this study because this is what hockey is- intermittent exercise. The end result of the study showed that continuous aerobic training had “little effect” on “high power endurance capacity in maximal intermittent exercise”. Interval training increased both maximal anaerobic power and “fatigability”. 3- I started to upload some of the videos that I have taken over the last couple of years on to my Youtube page. Check them out at SeanSkahan. Also, I will be uploading more whenever I take more video. Here is a video of a T-Spine Mobility exercise. I got this one from one of Michol Dalcourt’s video. What I really like about it is that the feet are on the ground and that because of the crossover foot, there is minimal lumbar spine movement. T-Spine mobility is something that we are always trying to improve with our guys. 1- A great article was posted on this week on T-Nation.com. Nate Green’s interview with Bret Contreras was really good. I’ve read a lot of Bret’s posts on Strengthcoach.com. He is a really smart guy who has really got me interested more in supine hip extensions. Specifically, how to load it properly. In addition to all the glute activation exercises that we do, we’re always looking for ways to load hip extension without the spinal loading. Bret is on to something here. 2- I have just completed week 7 of Jim Wendler’s 5-3-1 training program. (Sorrry, but it is modified due to my continous low back pain- I don’t deadlift or squat). I really like it because it is really easy to implement and make progress with. So far, so good. It is a simple, yet effective program. 3- Mike Robertson, Eric Cressey, and Bill Hartman, have an excellent product in Assess and Correct- Breaking Barriers to Unlock Performance. I’ve started to read this as I was fortunate to receive an advanced copy. This is really good information. Every evaluation seems to be really easy to implement into your program. 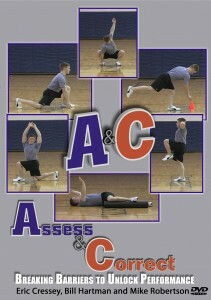 Also, there are corrective exercises to address any dysfunctions. These guys do a great job of bridging the gap between strength and conditioning coaches and physical therapists while also making it easy for guys like me to understand. Part of what I want to do here on the blog is to let my readers know of some websites that I check out and find to be valuable resources in the Strength and Conditioning field. The sites that I will recommend will always be sites that I endorse based on the fact that I think they are great places to get information. 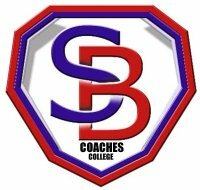 SB Coaches College is a site that was founded by Strength and Conditioning Coaches Shawn Windle, Brijesh Patel, and Robb Rogers. Shawn is currently the Head Strength and Conditioning Coach of the Indiana Pacers. Brijesh is currently the Head Strength and Conditioning Coach at Quinnipiac University. Rob is now working for the National Strength and Conditioning Association. All of these guys are very good and very bright strength and conditioning coaches who I have gotten to know over the last couple of years. They are also really good guys. The site contains several well written articles, programs, and power point presentations, as well as a store where you can buy some of their products. Here is a video of one of our abduction exercises that we do within our core/torso program. With the constant use of our adductors and other internal rotators of the hip, we feel that we need to strengthen abductors to make their that there is adequate muscle balance at the hip joint to prevent injuries. We will do 2 sets of 10 reps with a 3 second hold at the top. The coaching cues are for the athlete to keep their legs straight with the top leg slightly behind the bottom leg with the toe pointed down. The upper body is to remain perpendicular to the floor. 1- The P90X may be the best workout system that I have seen advertised on television (Perfect Pull Up is second). A few of my friends have started the program. What I like about it is the organization of the program and most importantly, you are required to move. Although, I don’t think I would use it with my athletes, I think it is great for people who need a regimented routine. 2- I read the book Crush It- Why Now is the time to cash in on your Passion, by Gary Vaynerchuck. I actually finished it in a day. I really like the concepts described in the book to help utilize social media. What I also really like is the fact that the author explains that by having a passion for something and applying hard work, you can see positive results. Kind of a breath of fresh air to read a book where they promote hard work. I’ve actually taken action on a few of the tips in the book. 3- Strength Coach and friend, Mike Boyle, has released his Functional Strength Coach 3.0. I got mine yesterday and watched the first dvd last night. As usual, Mike has done it again by releasing a great product. It seems like Mike is always one step ahead when it comes down to program design implementation and progression. I look forward to watching the rest of them. 4- On T-muscle this week, there was another great article called “Bigger, Better, Faster, Longer” featuring an interview with Dan John. Dan is a really good writer and seems to be an even better coach. 5- Speaking of Mike Boyle, check out this funny video Anthony Renna put together. That’s it. Let me know what you think. Have a great weekend. 1- Vern Gambetta- Foundational Legs- Building the Athlete from the Ground Up. What I really like about Vern is that he is a coach. He tells it like it is all the time. Like Al Vermeil, when he speaks, you should write what he says down. 2- Todd Wright- Vertical Core. Todd is a pretty funny guy who shows his passion for helping his guys get better every time he speaks. He is definitely a guy who has figured out a way to use Gary Gray’s information and break it down to a system that works for him and his athletes. 3- Todd Durkin- Going for Greatness. This lecture was very motivational and it was something I needed to hear (especially with training camp only weeks away). 4- Thomas Plummer- The 7 Habits of a Financially Successful Trainer. Like Todd Durkin’s, this was something I needed to hear. Thomas has obviously been doing this a while and knows what he is talking about. 5- Alwyn Cosgrove- The Evolution of Personal Training. I always have to see Alwyn speak. Very entertaining and a great guy. Always tells it how it its. 6- Robert Dos Remedios- Building Better Athletes: Getting Stronger and More Powerful Outside the Weightroom. I love seeing real coaches talk about what they do. Dos was awesome. Besides seeing those guys and others speak, I also got to meet up with some other people such as Mike Boyle, Anthony Renna, Mike Potenza from the San Jose Sharks, and Pete Friesen from the Carolina Hurricanes. This past week, I made my annual summer trip back home to Boston where I was able to see some of my family and friends. I was also able to get in some good continuing education and networking. On Thursday afternoon, my wife and I were able to get a training session in at the Boston University Weight room. I was able to hook up and catch up with Head Strength and Conditioning Coach, Glenn Harris. Glenn has now been at BU for 12 years as the Head Strength and Conditioning Coach. He is a great guy and I will always be thankful to him for giving me an opportunity back in 1998 to do an internship. Friday morning, I was able to observe a Boston University Hockey training session. I try to make it over to watch these guys train every time I get back home. Mike Boyle is the Strength and Conditioning for hockey at BU. Also joining me to observe were 3 strength coaches from other college hockey programs. Mike is another friend/mentor to me who is always doing something new with his guys. I always learn something new when i visit with Mike. Friday afternoon was the 3rd Annual distinguished lecture series in sports medicine at Northeastern University. Art Horne, Strength Coach/Athletic Trainer for Men’s Basketball at NU helped put on an outstanding lineup of speakers. Some of the best speakers/clinicians in the industry including Mike Boyle, Dave Tiberio, Eric Cressey, Dr. Mark Phillipon, and Stuart McGill gave some great presentations. What I really liked about is that there were several presentations given on common areas that I am constantly trying to learn more information about. I picked up a lot of new information that I am really looking forward to implementing with our athletes. In my opinion, whenever I go and attend seminars and visit with coaches, I always judge it upon how excited I am to try new ideas when I get back to training on Monday. This trip didn’t disappoint. Every off-season, I try to attend as many seminars that I possibly can. One seminar that I was referred to is the Third Annual Distinguished Lecture Series in Sports Medicine. This looks to be an outstanding seminar on June 5th and 6th featuring some great presenters including Dr. Stuart McGill, Eric Cressey, Mike Boyle, and Dave Tiberio. Also presenting is Dr. Marc Phillipon, who is becoming really well known amongst NHL players as well as several other professional athletes for his hip surgeries. I am looking forward to hearing what he has to say as far as hip injury prevention goes.